An abdominoplasty (tummy tuck) not only firms and flattens the abdomen by removing skin and fat but also tightens loose abdominal muscles to remove a central bulge (diastasis), contouring your waist. A tummy tuck is appropriate for patients who have trouble trimming their stomach despite weight loss and exercise, who have undergone significant weight loss yet have excess skin, or women whose abdomens have changed from pregnancy. It can also remove some if not all of the stretch marks in your lower abdomen. I prefer to perform the procedure on women who do not plan to become pregnant in the future and on individuals who are at their goal weight. Liposuction techniques may also be needed to help reduce excess flank fat, contouring your waist. Most patients have an improved self-esteem from this procedure and feel more comfortable in tailored clothing and swimwear. A tummy tuck will restore a flat stomach, leaving you with a more youthful-looking body. The greatest negative is the large scar. Although it is hidden in your bikini area and will fade with time, it will never go away completely. Many women have a c-section incision from pregnancy and find the extension of the c-section scar to not be troublesome. Weight gain and future pregnancies can negatively affect your results. As a mommy of two boys, I hate the term mommy make-over. This is a mommy tweak. We deserve it! The traditional mommy make-over involves having a tummy tuck (with or without liposuction) and often a breast lift (with or without implants). Combining surgeries is not a problem as long as the overall surgical time does not exceed six hours and you are in good health. Many patients question if they need a tummy tuck or if liposuction will give them an equally good result without the large scar. Prior to pregnancy, young women with a slightly protuberant abdomen usually only require liposuction. The scars after liposuction are discrete, the recovery fast and results fairly predictable. Most women who have had children require not only the removal of fat and skin but also muscle tightening. These women will not benefit from liposuction alone. In fact, the removal of fat may result in even looser skin and will do nothing for the abdominal bulge. An abdominopasty is an outpatient procedure performed under general anesthesia either in a surgical suite or in a hospital. Many patients elect to stay overnight in a hotel or go home with a private duty nurse. It is paramount to stop smoking six weeks prior to surgery. Avoid taking anything that can increase bleeding for two weeks prior to surgery (Ibuprofen, Mortin, Advil, Aspirin, herbal medications, fish oil, garlic). Try to be at your baseline weight, the results will be better. If you have children, arrange for someone to care for them. Make sure that you have a few healthy meals and snacks in the house as you will not feel up to cooking right after surgery. Fill the prescriptions the week before so that you do not have to go to the pharmacy after surgery. Set up your bed with plenty of pillows. You will likely sleep for the first few days on two to the three pillows behind your back and one or two under your knees. For many women, the most intimidating aspect of the procedure is the large incision. The larger the incision, the more excess skin can be removed…but the larger the resulting scar. Plastic surgery is a discipline of balance-in this operation the balance is between a tighter abdomen and the smallest possible scar. 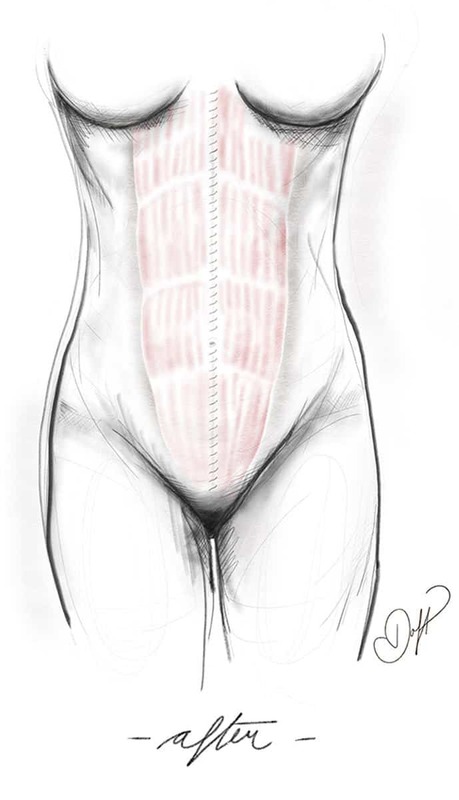 The traditional abdominoplasty scar is from one hip to the other. This incision allows a significant amount of tissue in your lower abdomen to be removed. It will remove the bulge from above your pants and any lower abdominal stretch marks. The length of the incision will determine the amount of extra skin and fat that can be removed. In a traditional tummy tuck, the scar reaches from hip to hip allowing much more skin and fat to be removed, creating the flattest and tightest abdomen. During this procedure, a new exit site for your belly button is created. For some women, their concern is more related to lower abdominal laxity than excess skin. For these women, a mini-abdominoplasty may be an excellent option. This operation involves removing a smaller ellipse of abdominal skin to remove less excess skin, allowing for a shorter scar. 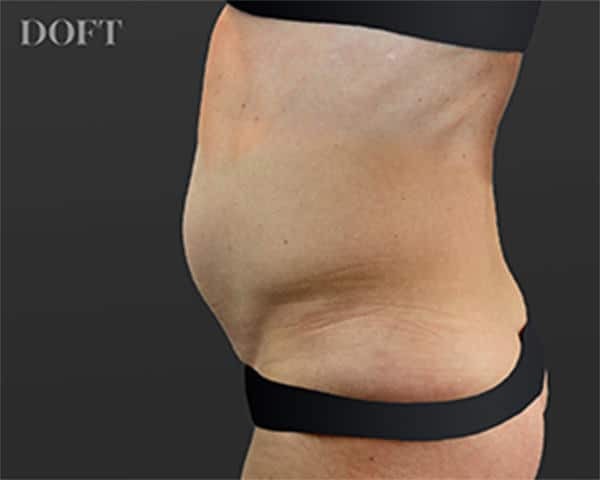 In patients who have lost a significant amount of weight, the incision often has to be extended past the hip bone and sometimes onto the back to adequately tailor your abdomen skin. The length of the incision will determine the amount of extra skin and fat that can be removed. 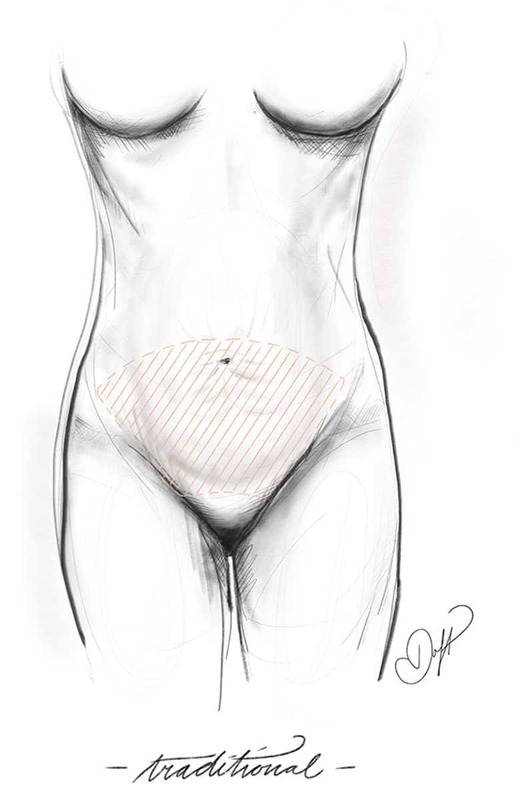 In a mini-abdominoplasty, the incision is smaller but not as much extra skin can be removed. This procedure is a good option for women who have less skin to be removed and when the excess skin is located only in the lower abdomen. 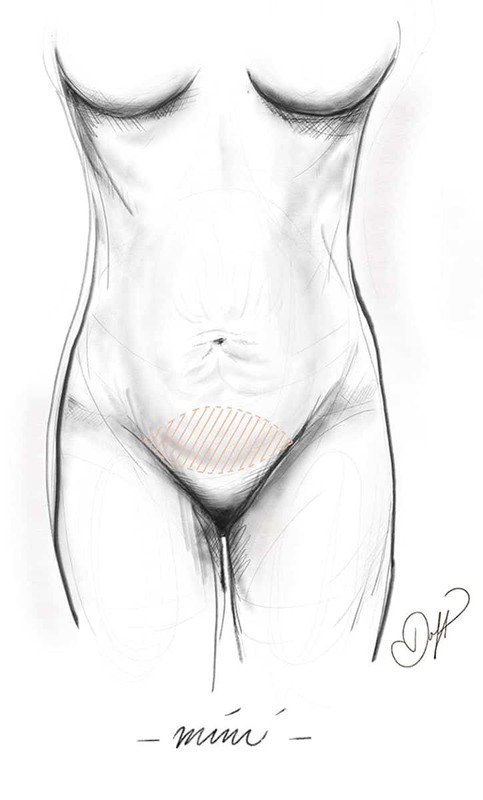 In the pre-operative area, I will mark your abdomen to show you the location of the incisions. If you like to wear low-cut bikinis, it is helpful to bring one on the day of surgery. You will then be brought into the operating room and given anesthesia medications intravenously. The procedure will take two to three hours. The incisions are hidden in your bikini line and within your belly button. Once you are asleep, I will often start with liposuction to help contour your waist. By removing flank fat, I can often make smaller incisions and reduce the possibility of “dog ears” or prominent scars. I will make the primary incision along your bikini line from one hip bone to the other. (The incision is smaller if you are having a mini-abdominoplasty). I will loosen the skin from your abdominal wall up to the bottom of your rib cage. I then place internal sutures to pull together your rectus muscles which have spread during pregnancy, creating an internal corset. This will correct a rectus diastasis. Sometimes, I add additional sutures horizontally to remove any extra-bulge that I think you will notice when sitting. Along the muscle plication, I add long acting numbing medicine similar to lidocaine to help ease post-operative pain. I find that many women are nauseous from narcotics and the additional of Exparel leads to a decrease in narcotic use. 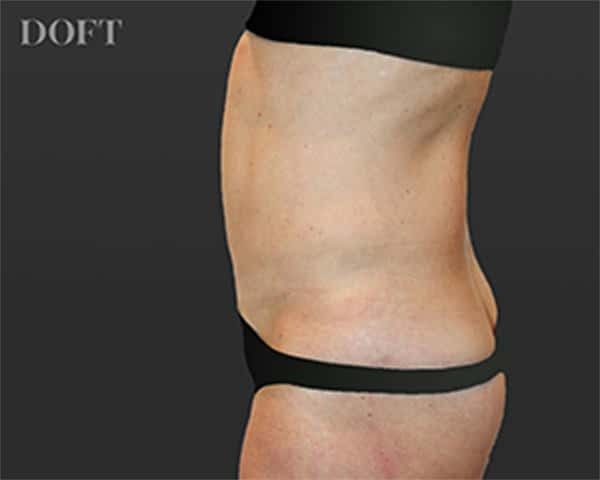 Once your abdominal muscles have been tightened, I will re-drape your abdominal skin and trim away any excess skin. Next, I will mark the placement of your new belly button. Although the skin around your navel has been moved, your navel will stay in the same place. Then all the incisions are closed. Two drains are placed to prevent a fluid collection or seroma. These drains will be removed one to two weeks after surgery. Like many plastic surgery operations, a tummy tuck is a two-layered operation. On the outside, skin is tailored to fit your body. Internally, a muscular corset is created. During pregnancy, the rectus muscles spread apart to create room for the uterus to expand and your baby to develop. 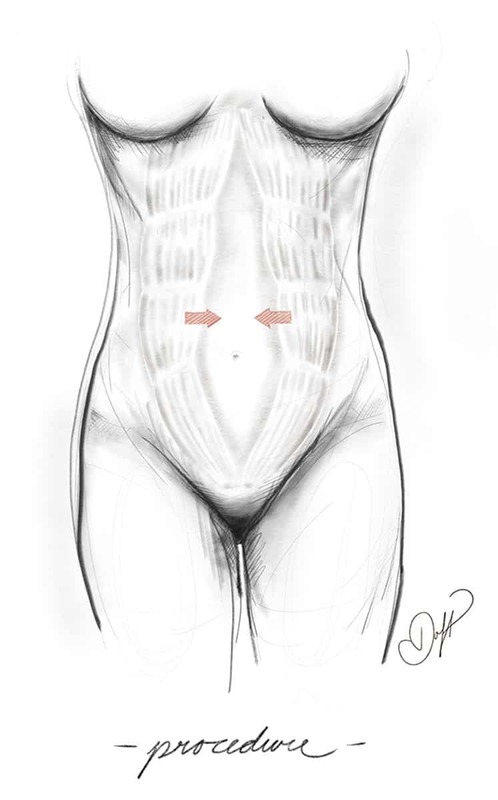 This spread is referred to as a rectus diastasis. Multiple pregnancies, twin pregnancies, and larger babies increase the muscle separation. The muscles will only move back into position to a point after pregnancy despite hours in Pilates, sit-ups, and a personal trainer. Rectus diastasis can lead to back pain, constipation, and urine leaking. To truly realign them, surgical correction is necessary. Correction of the rectus diastasis redefines your waistline and flattens your stomach. During the procedure, I will plicate or sew together your rectus muscles, re-establishing your pre-baby anatomy. A rectus diastasis can also occur in male patients secondary to yo-yo dieting or from weightlifting incorrectly. When you are pregnant, your rectus abdominis muscles separate. During a tummy tuck, these muscles are relocated to their original position; creating an inner corset, narrowing your waistline and removing lower abdomen bulge. Some women develop an umbilical hernia from pregnancy. You may have noticed that your belly button became an “outy” after your children. This is likely due to a small hole in your abdominal wall allowing internal fat to push outwards. An umbilical hernia can be easily corrected during the muscle repair. After the abdominoplasty, your abdomen will be placed in a compression garment. You will wear this garment around the clock for the first two weeks after surgery. The garment will help reduce fluid retention and help shape your trimmer abdomen. You will likely find that your stomach feels swollen and sore for the first week after surgery. Most patients require pain medication for the first week and are able to return to work in one to two weeks. You can start light exercise the next day and strenuous exercise in six weeks. The results should be long lasting but could change due to weight fluctuation, pregnancy, and natural aging. Although the results are immediately obvious, they will continue to improve as the swelling subsides to reveal a more toned, trimmer you. Yes. Undergoing an abdominoplasty does not preclude you from being able to have a baby or carrying that baby to full term. But it will likely change the results from the procedure and you may wish to have a revision if you do have a child after a tummy tuck. My best advice is to wait until you are finished having children before deciding to have the procedure. Many patients after significant weight loss find that they have excess abdominal skin and fat. Some patients have lost the weight through diet and exercise and some with the help of surgery as in a lap band or gastric bypass procedure. I like to wait until you have reached your goal weight and you have been at that goal weight for six months before scheduling surgery. Often patients like to have a consultation while they are losing weight to help plan the next step. Patients who have lost a significant amount of weight often have nutritional deficiencies. I always work closely with your weight loss doctor or your nutritionist to make sure that you are optimized to undergo surgery so that your recuperation will be smoother. If you are considering a tummy tuck or liposuction, please call our office at 212.600.4109 to arrange for a consultation. Our New York City practice accommodates out of town and international patients who need to travel in for surgery as well as those who are local to Manhattan.